WELD-ON 4052 is formulated for bonding a variety of plastic substrates. It will bond PVC, CPVC, foamed PVC, ABS, acrylic, styrene, polycarbonate, Noryl, etc. to themselves and to each other. 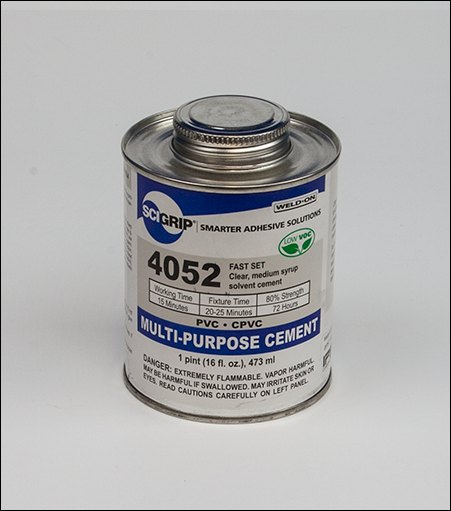 Weld-On 4052 is a clear, medium bodied, fast set solvent cement. The cement appears to have a slight amber tint when viewed in the container, however, the usual thin layer on the substrate appears clear when dry.